Today I am guest posting for Elizabeth Mindemann. She was so nice to ask me over at her blog Broken Treasures to share a project. I made this card along with a video tutorial. Please head on over there to see how I made it. Wow! Such a vibrant and stunning card!! So striking and gorgeous, Tasnim! You rock with this stamp! Love it so much! AMAZING card Tasnim! The colors are so gorgeous!!! I just discovered your absolutely amazing work while searching for a butterfly die, and one of your cards popped up, LUCKY me! I think I need to make a Pin Board on Pinterest just for your cards. 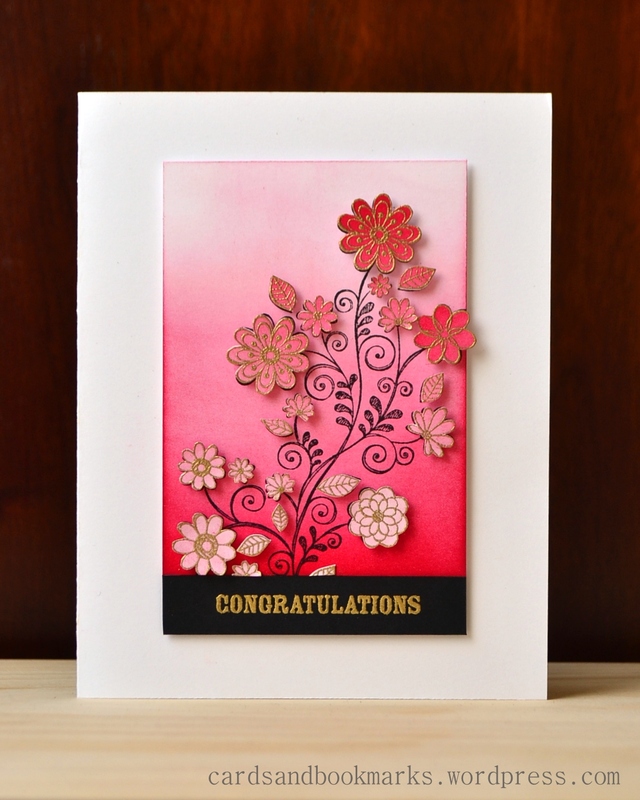 The colours on this card are gorgeous Tasnim – love the ombre effect in the background! This card is absolutely amazing!! I am in love with the combo of the rich colours and gold embossing!! So… expensive!